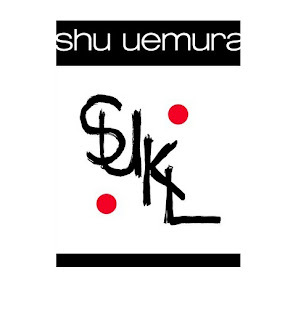 Chanel’s design Karl Lagerfeld and make-up innovators Shu Uemura have announced an exclusive cosmetic collection for Christmas 2012. Merging his visions of fashion and beauty with the cosmetics company, Lagerfeld has created an entire collection in homage to Mr Uemura's work. The colour selection and packaging has been designed entirely by Lagerfeld, who also photographed the visual campaign. I, for one, cannot WAIT to see this and know I will be purchasing a few items from the collection. What about you? Later this summer, Orly is launching French FX Kits, an updated twist on the classic French Manicure, The kits will come in neon, metallic foils and contrasts. I’m most excited about the neon kit as the look it set to be a massive trend. It reminds me of my Filthy Gorgeous London nail art (middle finger) which looked AMAZING. Top tip – it doesn’t matter if you get the ‘tip’ part of the look onto your nail bed, just be sure to have a cotton bud soaked in nail polish remover ready to tidy up. New St. Moriz Perfect Pins has a quick drying, non-transfer formula, so simply spray onto a mitt and rub onto legs and feet blending as you go, instantly giving legs an instant glow, while airbrushing out any imperfections, leaving your legs picture perfect. It only takes a minute to dry, so you can literally get dressed and go and any mistakes can be easily washed off. St. Moriz Perfect Pins costs £5.99 (125ml) and will be available from July 2012, for further information and stockist details please go to www.stmoriz.co.uk. - If you have any areas of skin prone to dryness, e.g. knees, ankles or feet, moisturise these lightly before applying St. Moriz Perfect Pins. - If you make a mistake, don’t worry, St. Moriz Perfect Pins washes off with soap, water and a flannel.